Due to unforeseen circumstances, we have had to reschedule our forthcoming workshop about Emotional Self-Regulation for parents and carers who live in Windsor & Maidenhead. It will now take place on Friday this week, February 1, instead of Wednesday, February 13. As a result of the change, a number of free places are now available at short notice for the workshop, which will run from 9.30am to 2.30pm on Friday at Windsor Youth & Community Centre, in Alma Road. Please note that this session is intended for residents of the RBWM council area. 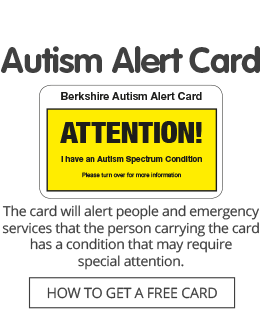 If you were booked for the original date but have not yet responded to an email message from us, please call the Autism Berkshire office on 01189 594 594 as soon as possible. Click here for more details of this and our other workshops for parents and carers and to book free places on Friday.